Equinox Kombucha ginger green tea drink is a refreshing beverage, made using certified organic and ethically sourced ingredients that are Fair Trade when possible too. Kombucha is a fermented unpasteurised drink made from sweetened tea, packed full of naturally occurring vitamins, minerals and amino acids that aim to give you power & strength and fulfil your wildest ginger cravings. Equinox Kombucha is a family run business based in the valleys of West Yorkshire and they brew their Kombucha Tea with the finest Organic Fairtrade Chun Me green tea, which is a Chinese leaf with a distinctive flavour. They use Organic pure pressed Ginger juice, as well as Organic raw cane sugar, which is Rainforest Alliance & Eco Social certified and a range of top quality Organic herbal teas. Equinox Kombucha will donate a percentage of the profits to the development of humanitarian projects. The Equinox Kombucha Organic Fair Trade Ginger Green Tea Drink - 275ml product ethics are indicated below. To learn more about these product ethics and to see related products, follow the links below. 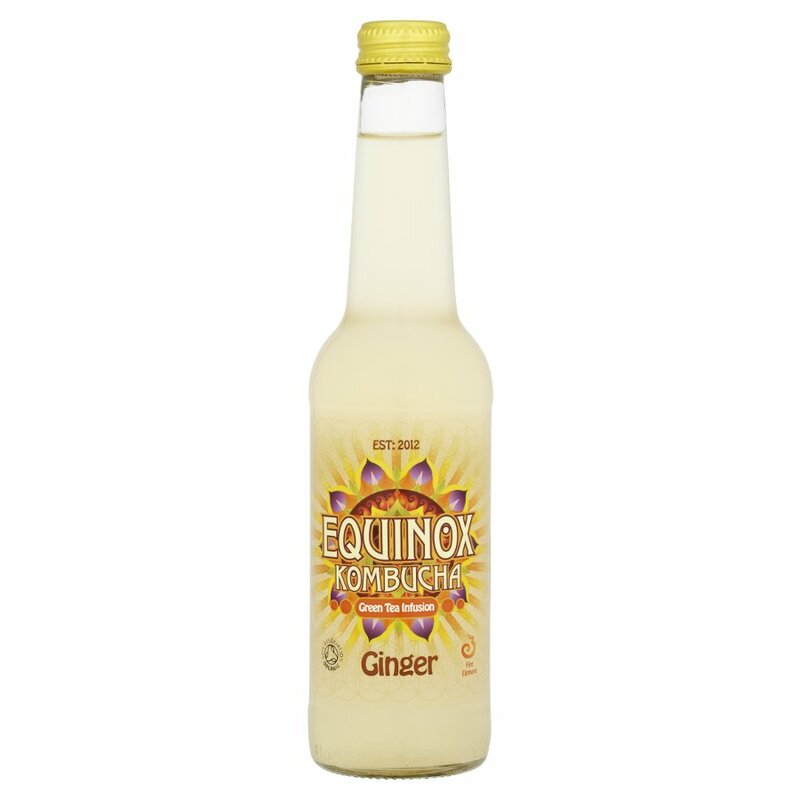 There are currently no questions to display about Equinox Kombucha Organic Fair Trade Ginger Green Tea Drink - 275ml.